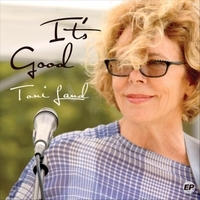 Her sixth CD, “It’s Good”, is the work of a seasoned musician and artist with its lush production and insightful songwriting. Sticking to her alt country, folk and rock roots, Land takes you on a ride through an emotional landscape. Across the span of six albums (including her latest release - It’s Good) Toni Land has revealed her humanity to us. Stories from a real person on a real journey of truth-telling and soul-searching. From her roots listening to the rock and pop of the 70’s, and through playing with her first bands in the 80’s, she was suddenly taken in the 1990’s by the sounds of acoustic guitars and acoustic instruments. That sound then became the heart of her music. Though she’s never been a traditional folk or country singer (her lyrics and attitude never really jibed with those genres), her music draws on and mixes those influences with a lifetime of others to create a unique sound - call it Toni music. Toni teamed up with producer/engineer, Jim Walker to record "It’s Good". Toni calls their collaboration “A match made in Heaven”. Jim and Toni designed, strategized, and created this production with Jim playing all the instruments and mixing all the tracks. Toni and Jim sang all the backing vocals and sound like they've been singing together for a lifetime.